Celebrating ordinary people doing amazing things. The Yorkshire Choice Awards recognise local people and independent businesses that are an inspiration in their field. Not only that, they help raise money for needy charities. That’s why we have sponsored the event for the last four years running. 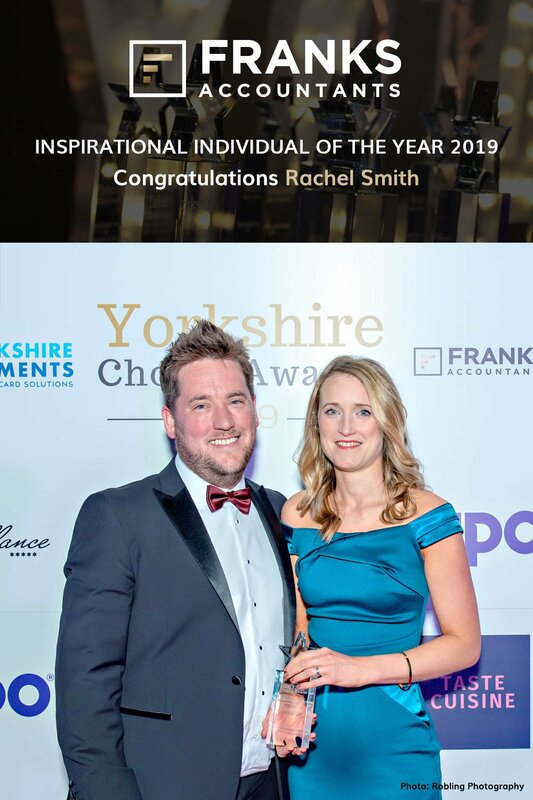 This year we were proud to sponsor the Inspirational Individual Of The Year category and would like to congratulate Rachel Smith for winning the 2019 award. Rachel’s husband, Nick, died in December 2017 after a 102-day battle with Motor Neurone Disease. He was only 38 years old. A legend of amateur rugby league, Nick played with Siddal ARLFC from the age of 8 making 400 appearances for the team. He played professionally when younger with both Leeds Rhinos Academy and Sheffield Eagles before embarking on a career as an accountant. As well as trying to cope with her grief, and look after her children, Rachel was determined to ensure Nick had a lasting legacy, so she formed a charity in his name – The Nick Smith Foundation. Supporting research into MND, support young children who have to face the death of a parent and support young people to take up rugby league.